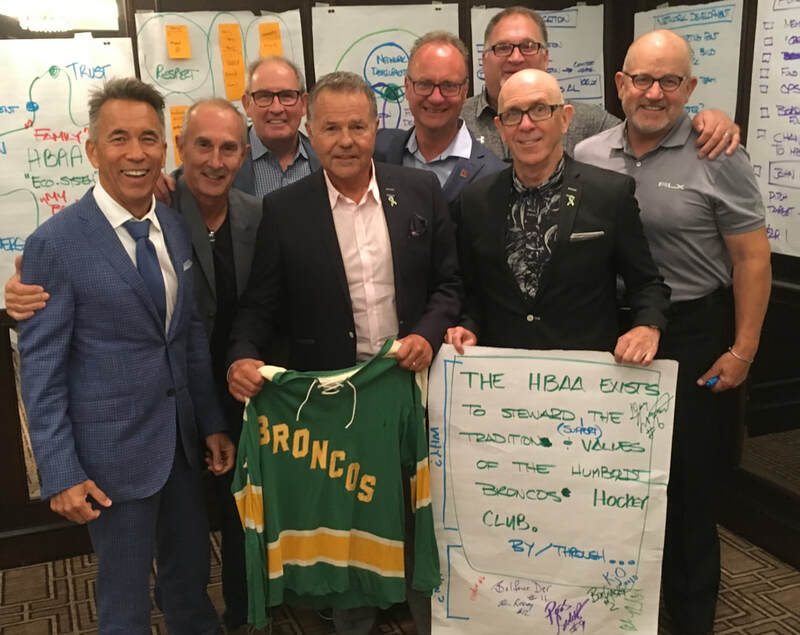 ​The inaugural Board of Directors of the Humboldt Broncos Alumni Association represents a wide range of ages, life experiences, and career paths. We all have a keen desire to support the Broncos organization and the community of Humboldt, as best we can. We have worn the jersey, lived in the community, and are committed to the traditions and values of the team. Bob was born in Nelson, BC and now lives in Calgary, Alberta. He is a business leader in the oil and gas industry both domestically and internationally, specializing in negotiations, business development, joint ventures, and regulatory matters. Balfour was born in Watson, Saskatchewan and now lives in Calgary, Alberta. He is a criminal law defence attorney and a former Crown Prosecutor, who also lectures and has authored textbooks on criminal law. Ross was born in Milestone, Saskatchewan and now lives in Victoria, BC. He is a former financial industry executive, and a long-time corporate strategist focused on growing companies and developing leaders. Al was born in Williams Lake, BC and now lives in Salmon Arm, BC. He attended Ohio State University on an NCAA hockey scholarship, and is a 2011 BC Hockey Hall of Fame inductee as a member of the Penticton Knights. He is a marketing industry professional, specializing in development initiatives for corporate and team programs. Kelly was born in Coleville, Saskatchewan and now lives in Calgary, Alberta. He is an entrepreneur, primarily in oil and gas, as well as the CEO of a foreign policy think tank, the Canadian Global Affairs Institute. Brett was born in St Albert, Alberta and now lives in Sherwood Park, Alberta. He is a private wealth consultant with BMO Private Banking, and a Past Vice President of the NAIT Ooks Hockey Alumni Association. John was born in Humboldt and now lives in Edmonton, Alberta. John is the son of Broncos co-founder Dr. Gerald Rooney; he literally grew up with the Broncos. He is an independent financial consultant. Craig was born in Glenavon, Saskatchewan and now lives in St Albert, Alberta. He was a long-time corporate leader with Enbridge Pipelines, and still plays hockey, even in Florida. Dan was born in Leroy, Saskatchewan and now lives in Humboldt. He was a grain farmer for 25 years, and now owns and operates a real estate agency. He is currently President of the Humboldt & District Chamber of Commerce, and the Broncos’ game-day Colour Guy on Bolt FM. Photo credit to CTV News, Global News , paNow and TSN.